Southern Rail's Bluegrass Christmas concert is back by popular demand. Their mix of Christmas, Gospel, and Traditional Bluegrass is just the thing to usher in a season of joy and celebration. Southern Rail's performances are high-energy exuberant fun, with riveting harmonies, irrepressible humor and sparkling banjo, mandolin, and guitar solo work. Over the years, Southern Rail's recordings, featuring their prolific songwriting, have graced Bluegrass Unlimited's Top Thirty Singles Chart for a combined total of 32 months, climbing to #11. One of Southern Rail's earlier CD's, a special Bluegrass Gospel compilation entitled Glory Train, was nominated for Best Gospel Recording of the Year by the International Bluegrass Music Association. 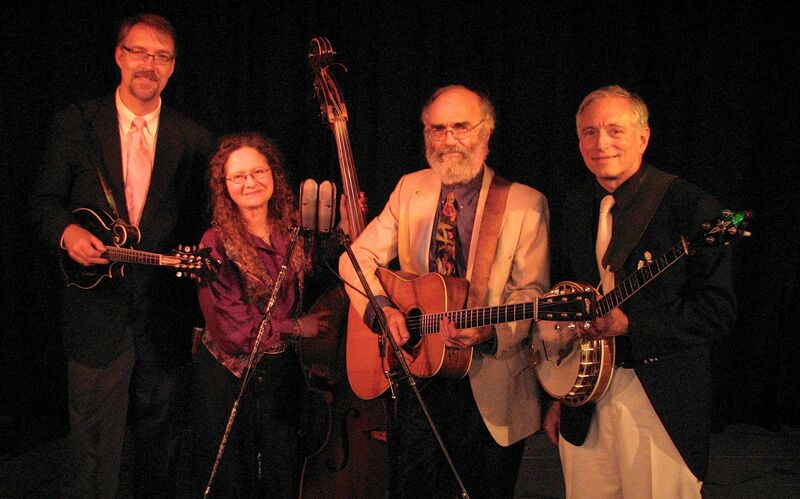 The quartet is composed of Jim Muller, guitar and lead vocals, his wife, Sharon Horovitch, acoustic bass and harmony vocals, Rich Stillman, banjo and harmony vocals, and John Tibert, mandolin and harmony vocals. Press review quotes from Texas, California, Canada, Ireland and elsewhere include: "The best Gospel CD I've ever heard", "One of the most original and exciting groups in bluegrass", and "The vocal harmonies are exquisite and the musicianship is impeccable." See some of their videos on YouTube and on their website. Tickets for the concert are $20 in advance and $25 at the door, available at the church office, 508-384-3110, or at www.musicatocc.org. Children 12 and under free with an adult. The event will be in the sanctuary of the church, accessible from the side door on Dedham St. (Route 1A). Parking is available behind the church and in the lot across the street. For more information and to be added to the mailing list, visit the website or contact Ken Graves, 508-384-8084, occmusic99@gmail.com. Saturday, Jan. 12, 2019, Mile Twelve, one of the outstanding bluegrass groups of the Boston area, touring worldwide. Saturday, Feb. 2, 2019, Don White, a must-see storyteller-comedian-author-troubadour-folk singer-songwriter. With Mike Agranoff opening. Saturday, March 2, 2019, Fellswater, Boston's Celtic Music Ensemble. Back by popular demand. Friday, April 5, 2019, TBA, popular performer to be announced in December. Saturday, April 27, 2019, Bill and Kate Isles, an acoustic singer/soungwriter duo based in Duluth, Minnesota. Audiences feel they are listening to stories of the own lives, told by two of their best friends. See website for complete OCC Coffeehouse season schedule, more details, and for ordering tickets.